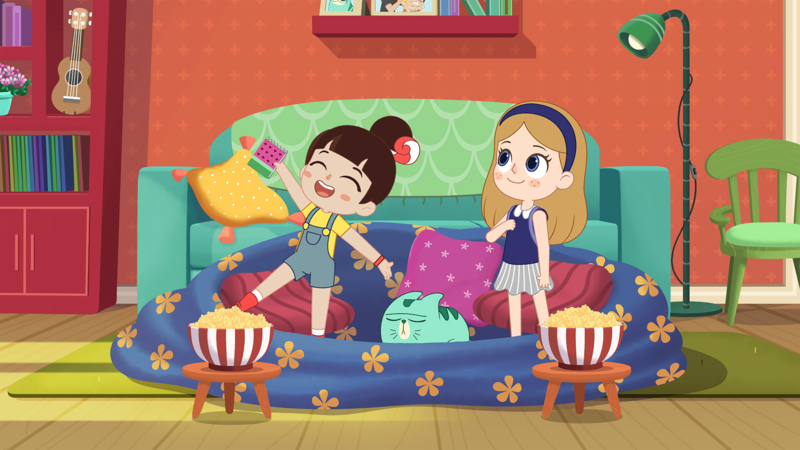 Dublin, Ireland – April 7, 2019 – 9 Story Distribution International is pleased to announce that it has secured multiple sales for the animated series Luo Bao Bei (52 x 11’). New licenses include France Télévisions (France and French-speaking territories), Canal Panda (Spain and Portugal), CLAN (Spain), SVT (Sweden), True Visions (Thailand) and HOP! (Israel). In addition, 9 Story has secured a global distribution agreement with Netflix for a second window. The series launched last month on CCTV in China. LUO BAO BEI was previously licensed to Milkshake! (UK), ABC Australia and E Junior (UAE). The series was recently nominated for an International Emmy® Kids Award. Produced by Magic Mall Entertainment, Luo Bao Bei was created by Magic Mall’s Grace Tian. An original work from the Magic Mall team in Beijing, it was directed by Adam Bailey and Tong Lijun, produced by Ma Lin and Jon Rennie, with Dave Ingham (Shaun the Sheep, Octonauts) as head writer. Cloth Cat Animation was commissioned for the animation and 9 Story Distribution International holds global distribution and merchandising rights for Luo Bao Bei, excluding China. Aimed at children 4 to 8 years old, the series follows Luo Bao Bei, a bright and spirited 7-year-old girl with a vivid imagination, on a quest to understand the world around her. With her friends, family, and some endearing animal companions by her side, she navigates the excitement of childhood with enthusiasm and curiosity, finding adventures along the way. Children everywhere relate to Luo Bao Bei’s journey to learn life lessons, one story at a time.